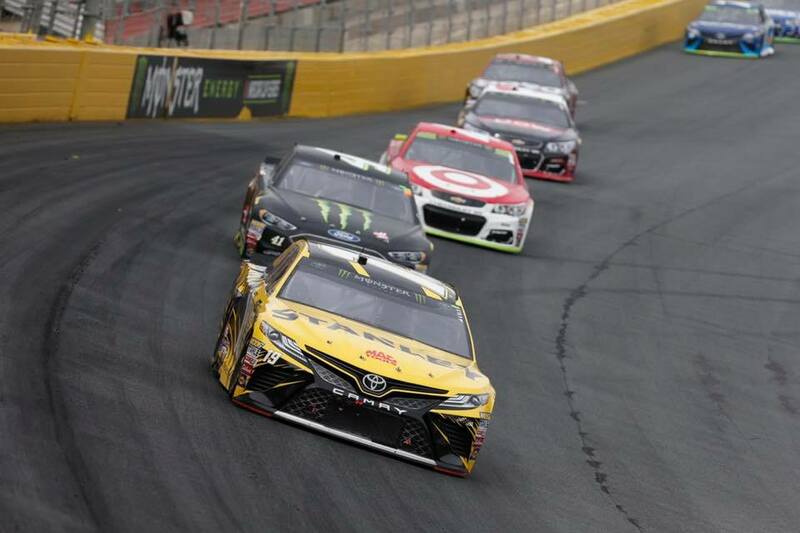 NASCAR announced penalties Wednesday from last weekend’s national-series doubleheader at Charlotte Motor Speedway. Daniel Suarez: The Joe Gibbs Racing No. 19 Toyota team for Monster Energy NASCAR Cup Series rookie Daniel Suarez was found with one lug nut unsecured after Sunday’s Bank of America 500. Wednesday, crew chief Scott Graves was fined $10,000 for the infraction. The penalty marked the fourth time this year that Graves has been fined that amount, with other single-lug fines coming after Pocono in June, New Hampshire in July and Bristol in August. Graves took over crew chief duties for the JGR No. 19 on March 29. Blake Koch / Matt Tift: Two teams in the NASCAR XFINITY Series were fined for ride-height violations — the No. 11 Kaulig Racing Chevrolet driven by Blake Koch and the No. 19 Joe Gibbs Racing Toyota of Matt Tifft — after their entries measured too low in post-race inspection. Both teams were docked 10 points from the drivers’ and team owners’ standings, and crew chiefs Chris Rice (Koch) and Matt Beckman (Tifft) were each fined $10,000. The points deduction applies to teams’ point total after the XFINITY Playoffs’ Round of 12 and before the drivers’ standings reset for the next round. Tifft finished the Charlotte race with a 16-point cushion, so the penalty does not prevent him from advancing in the postseason.